I'm calling this an 'Autumn' style post, purely because I know our Winter wardrobe will be changing and becoming even more layered up so let's talk about what's hot right now! This autumn is all about the VELVET pieces, I've seen lots of inspiring burgundy velvet dresses followed by tiny velvet details on hand bags and other accessories. I do enjoy keeping my outfit casual & stylish so I ordered this pair of Velvet knee-high boots from EGO (recommend to go one size down!) that kind of blend into your fave black jeans - but really shine through once looked at them carefully. A golden detail on the heel is a beautiful touch of autumn to the boots and texture is super soft. Another favourite of mine this November is LEATHER PANTS! I've been wearing my pair from Karen Millen and can't get enough of them, easily styling them with oversized knit jumpers, tops and jackets. An OVERSIZED SCARF is a must-have to finish an Autumn outfit, keeping you stylish & warm! You can really experiment when it comes to scarves and have it in bold colours and interesting textures to really vamp up any outfit. 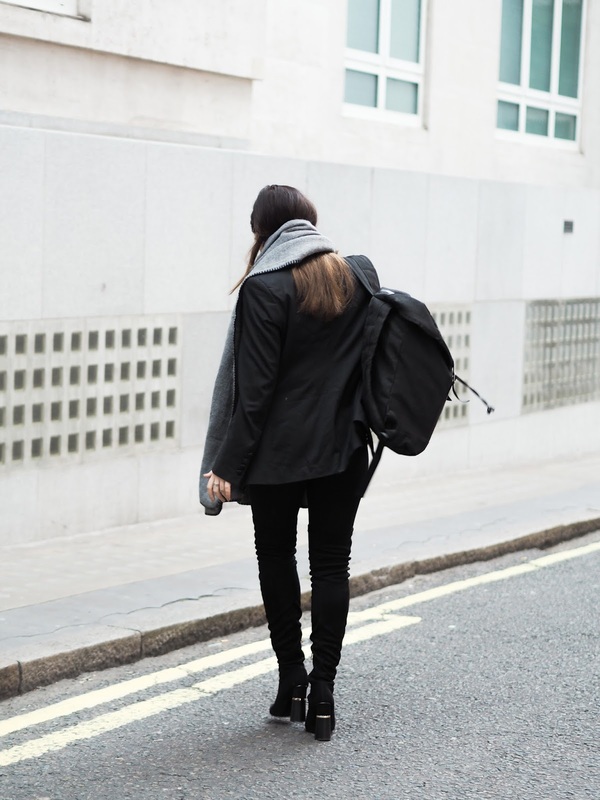 As I'm always on-the-go and a BLACK BACK-PACK (that actually fits your mac!) is brilliant if you're looking to carry ALOT of stuff that day but don't want to have 456 tote bags hanging off your shoulders. Hope you enjoyed this quick post, let me know what trend you're loving this Autumn!